Organically grown seeds. A large, dark green, curled-leaved endive with a golden yellow heart. 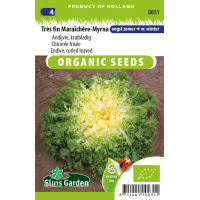 Very resistant to poor weather conditions and so ideal for summer, autumn and early winter cultivation. Forms large healthy heads that have good resistance to necrosis and bolting. 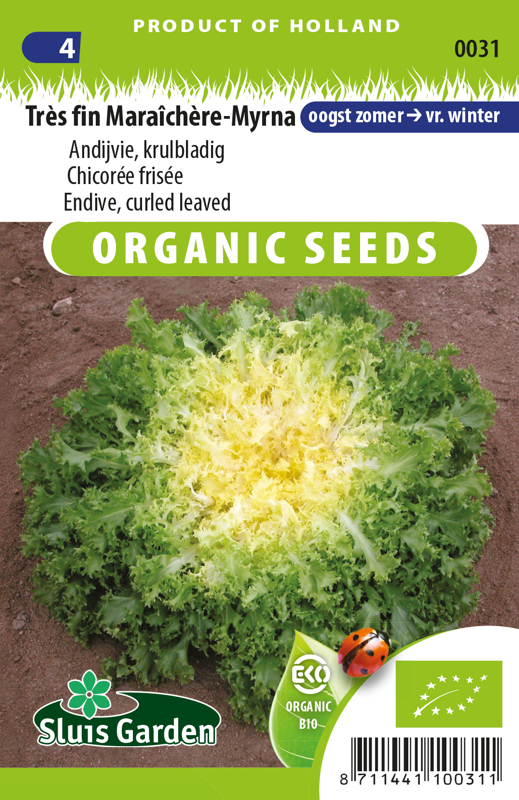 To prevent “bolting” (seed formation) sow in a greenhouse or in the garden at temperatures of at least 15°C. Keep soil moist during the cultivation. Transplant to well fertilized soil.